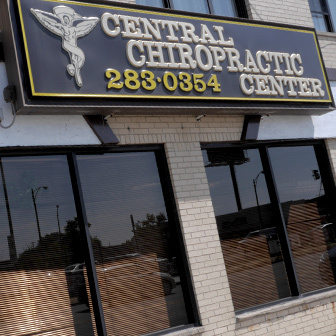 Helping Hands Chiropractic Care is located in the busy six corners part of Chicago, just north of Milwaukee Avenue. We’re on Central Avenue just north of Milwaukee and Foster avenues. We’re right across the street from Paterno’s Pizza. We also are a few blocks from I-90. You can reach us easily via public transport. We are two blocks away from the Jefferson Park CTA station. Parking is available on the street in front of the office as well as behind it.